Ingenico Group is the Global Leader in Seamless Payments providing end-to-end payment solutions to enable commerce across all channels: in-store, online and mobile. 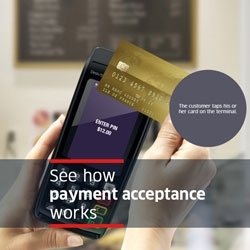 With more than 35 years of payment industry experience and market leading payment solutions Ingenico is the trusted payments partner for all major acquiring banks and 70% of the World's leading retailers. Ingenico has has enjoyed more than 35 years of success in Northern Europe and during this time, the organisation in the UK and Scandinavia has become the growth engine for the company in, employing over 450 members of staff. In a mature region such as Northern Europe, the payment market remains extremely dynamic thanks to ever-changing consumer behaviour and new payment methods in mobility and omni-channel payments. The services business in particular has become an increasingly important aspect of Ingenico’s end-to-end payments solution. Ingenico Northern Europe has an in-house warranty and repair centre, handling requests to refurbish over 30,000 units per month along with a Distribution, Customisation and Installation operation. In addition to this we also have two dedicated customer contact centres in the UK receiving 455,000 inbound calls and making 365, 000 outbound calls per year. The contact centres employ over 115 employees and provide first line support for more than 260, 000 terminals. Ingenico Group is the ONLY organisation in market with the scale and infrastructure in place to offer a fully end-to-end solution; from Distribution and Estate Management to Warranty and Service and full Contact Centre Support. All are provided from our UK operation with Ingenico employed personnel - something our customers value deeply. Committed to seamless payments innovation, Ingenico invests 8% of its global revenues into Research & Development (R&D) whilst employing 20% of our staff dedicated to the department. At Ingenico we focus on innovation to ensure that both ourselves and our partners stay ahead in the ever changing commerce landscape. Through iLABS, and Ingenico’s in-house R&D departments, we have a dedicated resource that looks at the future of payments, not just 12-18 months in the future but also 3 – 5 years ahead. Payment security is in the DNA of ingenico. We are accredited to the latest industry standards and always working beyond that. Our Point-to-point Encryption services were amongst the first to be be ceritifed, providing a higher level of security at a lower cost with a quicker route to compliance for our clients.